As discussed in Section 4.6.3 above, many sponsors continue to perform 100 percent source data verification (SDV) in spite of the fact that it is not required by FDA and evidence suggesting that it is not efficient. Thus, the central idea behind this alternative is to encourage industry to reconsider this practice and instead adopt more efficient risk-based approaches. The first step in estimating the impact of this alternative is quantifying the effect on costs of a movement away from 100 percent SDV in an average clinical trial. We obtained this information from a published study by Tantsyura, et al. (2010), which reported that expected overall (total study cost) savings associated with switching from 100 percent to 50 percent SDV are 11.6 percent for a typical Phase 2 cardiology study (238 subjects) and 16.7 percent for a typical Phase 2 study oncology (100 subjects), and potential savings in typical Phase 3 cardiology and oncology trials are 14.3 percent and 23.5 percent (1,282 subjects and 460 subjects), respectively (Tantsyura, et al., 2010). For cardiology and oncology, we were able to use the percentages reported in this study; for the other therapeutic areas and categories in our model, we used simple averages of the cardiology and oncology percentages (14.2 and 18.9 percent for Phase 2 and Phase 3, respectively). The second step in estimating the impact of reduced SDV is determining the extent to which this practice is actually still in use. In addition to the itemized clinical trial cost data, Medidata provided us with information on the rate at which sponsors report using 100 percent SDV for each clinical trial phase and therapeutic area combination. In this data provided, all partial SDV efforts are coded as not 100 percent SDV. By contrast, a “100 percent” in this field indicates that 100 percent SDV was used in every contract in the dataset for that phase and therapeutic area. For the sake of simplicity, we assumed that the adoption rate of reduced SDV was equal to 100 minus the percentage reported for each phase and therapeutic area combination; in other words, if the data showed that 67 percent of contracts used 100 percent SDV, we interpreted this to mean that reduced SDV was the adopted practice already in 33 percent of trials. For combinations for which data were missing, we used the average of all other therapeutic areas for that phase. Using these rates of reduced SDV, we were able to adjust the likely impacts of this approach to account for the fact that some reduction in SDV was already reflected in our cost data (i.e., not all trials were still utilizing 100 percent SDV). Conservatively assuming that there would be no impacts on Phase 1 and Phase 4 trials, in which SDV is less critical, we calculated the percentage reductions in SDV Cost (per data field) by phase and therapeutic area for Phases 2 and 3. It is also possible that reductions in SDV would result in shorter phase lengths, but we did not have enough information to model that change. 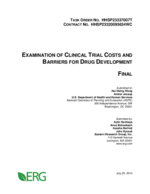 Table 7 depicts the cost savings from reduced SDV practices per study. Because SDV only constitutes between 0.9 to 1.6 percent of overall study costs, the savings attributable to reduced SDV activities are minimal, around $0.1 million and $0.2 million (representing around 1 percent of study costs) in Phases 2 and 3 only, respectively. [a] The numbers in bold represent the highest savings in dollars and in percentages within that phase. Note that sometimes the highest dollar reduction does not necessarily correspond to the highest reduction in percentage terms.